Whether you�re competing in shooting sports or just working to improve your accuracy and speed, an improved grip on your pistol is key. 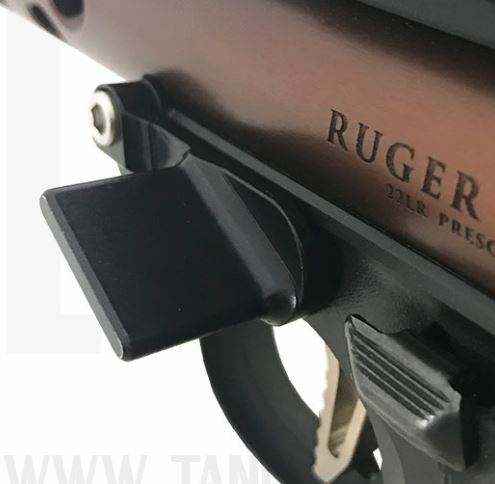 The new Striplin Custom Thumbrest for Ruger� MKIV 22/45 offers the improved grip and control you need to take this pistol from good to great! 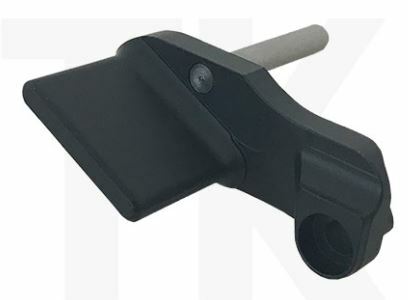 Machined from billet aluminum and cerakoted in black, the new Ruger� MKIV 22/45 Thumb Rest from Striplin Custom requires no permanent modification to the gun�s frame and installs in minutes. Below is a picture of the thumbrest installed.